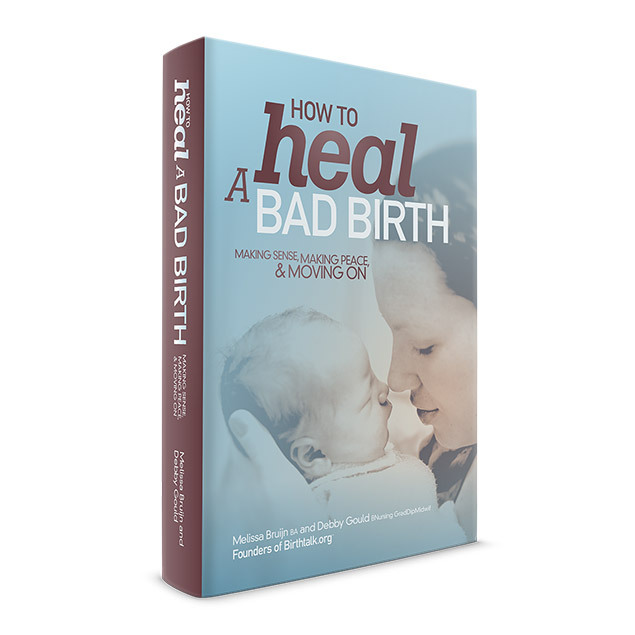 After birth trauma – why go back over the birth when you can’t change the past? How you can change your NOW by exploring BACK THEN. You can’t change what happened in your birth. you CAN change your understanding of it. And your insights about the issues surrounding it. and even your relationship with it. Not overnight, and not without work, but it is possible. And in doing so, you can change your NOW. You can change your NOW. Your present experience of life can GET BETTER. Your relationship with your traumatic birth might change. The way you tell your birth story now may not be the same way you tell it once you have taken the healing journey. We see it all the time – the more women learn and discover about birth and traumatic birth, the more they are able to see their birth in its true light…and see themselves in their true light. In changing your relationship with your birth, you change the way you talk about it to others, especially within your own family, and especially with your own children. The process of discovering this may lead you to weave a new story about birth for your entire family. So no, you can’t change the past. You have the potential to significantly improve your present (and your future too!). Birth trauma is real. And it IS possible to heal.